The heat loving German bartender in Buga raved about this town, Leticia, and the Amazon. He gave hope and a way out for the travelers stranded a few towns from the border of Colombia due to protests and road blocks. I never considered Leticia. It did not come up during my research/blog surf. Soon I learned that it’s a hub to enter the northwest region of the Amazon and part of the “La Frontera,” a place where the borders of three countries meet (Colombia, Brazil, and Peru, read more about it here.) And it can serve as an alternative route to exit Colombia. The vast Amazon rainforest viewed from above…the green carpet went on and on for almost an hour, and that’s only a fraction of the Amazon! According to wiki, the Amazon covers a massive 2,123,562 sq mi. For comparison, the U.S. is 3,794,101 sq mi (includes Alaska). Can you imagine two third of the U.S. covered in thick jungle canopy? My first step out of the Leticia airport, a travel agent stepped up. He spoke English and tried to offer me a tour. I took his card and hopped into a cab. Five minutes later I arrived at my hotel and checked in. Then I heard someone knock on the door and to my surprise, it was the agent outside of the airport. I felt threatened immediately. What kind of person chases someone down to their hotel and knocks on their room? I took a second look at his card and noticed he’s actually stationed at the hotel I was staying (though later I learned that he chases other people to their hotels or onto the streets regardless where they’re staying.) 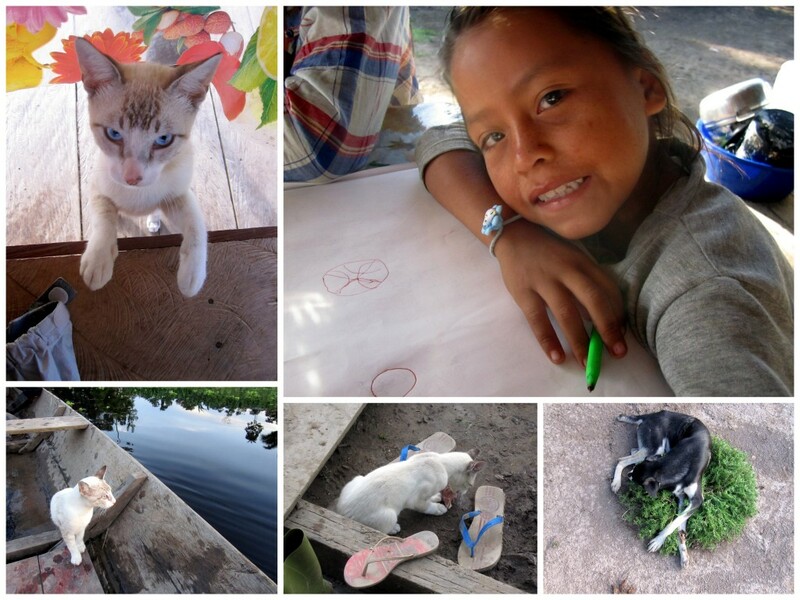 I sat down at a table in the common area and he handed me a photo album, filled with fun activities in the Amazon. Then he showed me his guestbook, portable TripAdvisor style. There were comments from three years ago to as recent as a week ago. Looks legit, I was beginning to think. After we haggled over the price a bit, we settled on three days and two nights for $200 USD, all inclusive. Sounds like a good deal, it’s comparable to the prices I found on other blogs. He also said there will be two others on this tour and we will depart not the next day but the day after. At the conservation park — Rescued monkey eating a banana. Testing out a blowgun the indians use to hunt. A wall made of recycled plastic bottles, when constructed a certain way, it’s stronger than concrete. Last but not least, a fish that looks like a fallen leaf, floats like it too. Nuts! And so the next day I took my sweet time and went to visit a conservation park on the outskirt of town. It was the perfect Amazon education center. The owners brought all types of plants and some aquarius creatures from the Amazon to the park to teach visitors about the biodiversity and traditional uses for some plants. They rescue previously owned pets from the jungle and provides public education campaigns at schools to teach kids how to recycle plastics because the natives have always lived by the thinking that everything is biodegradable, as nature intended. They are not aware of the long-term impact plastic has on their land, and plastics would be thrown out like papaya peels with the same expectation that it will decompose in little time. By the time I got back to the hostel from the park, the agent was out waiting for me. He said the two others had left for the tour already that morning. He asked me to catch up and maybe even go that afternoon. He said I would be back on Sunday. Rushed to shower, pack and check out of the hotel, my mind did not fully register that the day I left was Wednesday and it’s four nights away from Sunday. The boat ride took an hour and half over the lustrous brown river water, colored by the nutrients leaked from the soil. While I admired the scenery, I asked the guide, Miguel, what seemed to be the dumbest question anyone could ask about the Amazon. “I know this might sound odd but Colombia has surprised me a lot, so I must ask, if there wifi at the house?” “Wifi? Oh yes, and shopping malls and televisions. It’s the Amazon Te-ray-sa, it’s the Amazon!” Yea, he never did let that one go till the very last day. Though I caught the amazing Amazon sunset, when we arrived to the house it was pitch black, with two candles burning on the dining table. The house had no railings let along walls (much cooler that way?) but it felt rather safe with three dogs and a cat patrolling the premise. Oh and several machetes in the kitchen. Bedroom for the first two nights. The other two visitors were Australian exchange students living in Bogota and came to the Amazon for their week off. The were two very unlikely pair. One is textbook hippy and the other textbook hipster, both were very welcoming and easygoing. 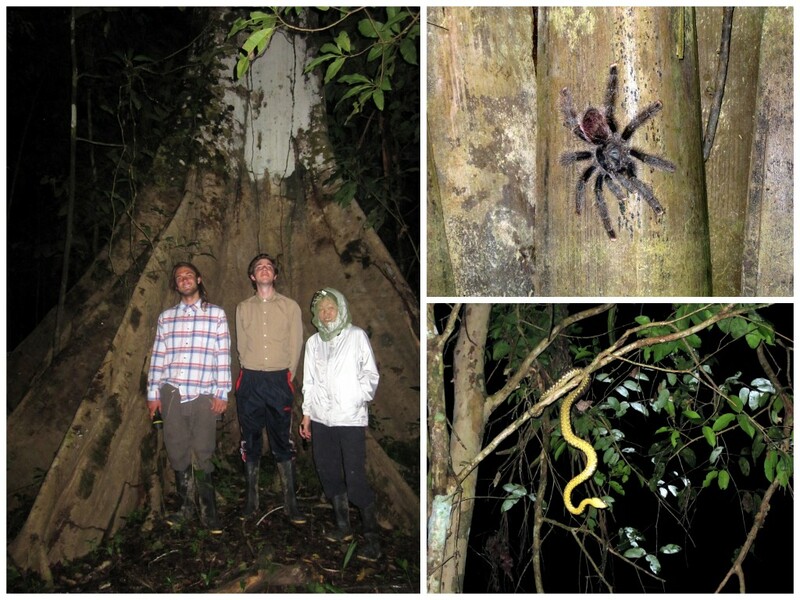 After dinner we went for a jungle walk to find tarantulas. We got pretty good results and found a few, along with a poisonous snake that Miguel kept rousing. Standing in front of the Saber tree, largest tree in the Amazon. Can you tell which is the hippy and which the hipster? The first night at the house was rough. I thought it would be the roughest for me since I always get bitten the most, but it turns out, they prefer the hipster so much more! The poor guy had over 20 bites on his back (bitten through the hammock and shirt) in the morning. Nevertheless, the expedition must go on. After a hearty breakfast we went out to catch some fish. Luck wasn’t on our side and instead we got stuck in the mud. All the men got out to push the boat. I documented. The boys got a chance to swim in the river instead. Then we were dropped off (with Miguel) by the shore to trek back to the house which was about 2-3 hours away. Pushing the boat back into the water. Fishing. Crazy tree limbs. Using chicken skin as bait. The ever so vibrant greens in the Amazon. A hike through the jungle should be fun! For the first 10 minutes it was, very. Then each person started to accrue a cloud of mosquitoes behind them. Miguel was eager to find signs of wildlife but none of us wanted to stop. Each time we make a stop to check something out, it was the perfect time for mosquitoes to strike. Did learn a few things along the way. Miguel found roots that contain drinkable water and the hippy guy found a stick insect. Miguel drinking from the roots. He doesn’t ever bring water on treks! The last hour was drenched in sweat and an even bigger following of mosquitoes. We all wanted to get out of the jungle badly. The hipster was starting to question why he agreed to this trip. Heavy boots continued to drag across the dark soil when suddenly we came upon a clearing with crops planted by the community we were staying with. Miguel puts his finger on his lips and signaled us to be quiet. We heard two shrieks from unknown birds and Miguel points to a lanky tree 50 yards away, and that’s when the magic happened. Two wild macaws flying side by side glided over our heads against the cotton white clouds. “Yes, they are always in pairs,” said the Miguel. My camera was still in the pouch. It all happened so quickly. Yes! Back to a place with chairs and slightly less mosquitoes! Since we didn’t catch any fish earlier, the owner of the house, Jose, and also our boat’s driver, Jose, went and set up a couple of nets by the river crossing. After a bit of rest we went with the Joses to collect the goods. Gutting and cleaning the fish. Most of the fish caught in the net were armored catfish. They had inverse hooks on both sides of their body that reminded me of the tire spikes on monster trucks. The catfish was cooked in a delicious creamy red peppery sauce. Yet I wasn’t able to fully enjoy it. It’s not as muddy as the catfish from the Potomac but in my mind it’s still yucky. To the cook’s credit, it was fresh and excellently prepared. Shortly after dinner we went out to look for caimans and alligators. One can spot caimans or alligators by flashing at the surface of the water. Their eyes reflect bright red from yards away. Miguel was a pro at ramming head first into the bushes lined along the shore to scoop the babies out of the water. 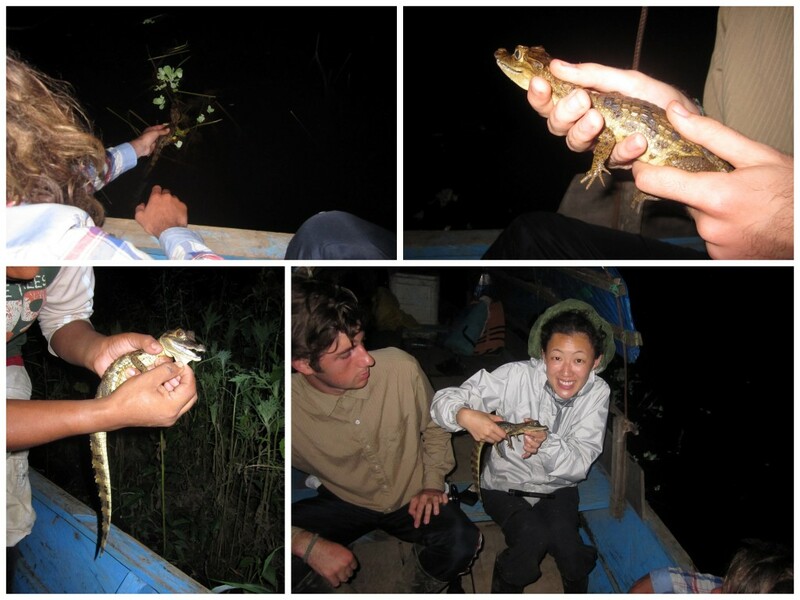 We were pretty fortunate and Miguel caught one baby alligator and a baby caiman, both around three months old. They felt strangely pudgy yet solid at the same time, nothing like a leather purse. In the morning, per tradition, we had a hearty breakfast and then bid farewell to this wonderful family that hosted us. They seemed to be quite comfortable with our intrusion and thoroughly enjoyed making friendly jokes out of us. Or mainly me and my wifi comment. Poncholin the bravest cat ever munching on her stolen chicken head, the loyal dogs, and the owner’s daughter. And off into the jungle again we went. This time we will trek for five hours and rendezvous with Jose and the boat on the other end. The idea of going back there to feed the mosquitoes almost made me forfeit the trek. But the idea of missing out on whatever living things I might encounter was far less desirable, so jungle it is. Perhaps it was the timing, the temperature, or that we lathered DEET on way ahead of time, because the first couple of hours we barely had any blood sucking fans. The jungle was cool and breezy, it was like a casual walk in the park. Saw tree bats, squirrel monkeys and one howler monkey, soldier ants, camouflage frog, blood wood, wasp nest, and a few others there were too quick or too small to get a picture of. A notable find by Miguel was what we presume to be an albino tree frog, which Miguel said, in his ten years being a guide, he had never seen before. Rare sighting of an albino tree frog with orange feet! Video of this jumper in the gallery. The last couple hours of jungle trek was a replay of the day before…mosquito followings grew into grey clouds of malaria and we were all so sweaty, tired and beaten to the point of abandonment. Not that there’s anywhere else to go but more jungle. Finally we endured till the meet up point and hopped onto the boat for house number two. Home stay for the last two nights. House two was a pretty big step up from house one. It’s set up like a hotel with multiple rooms with beds and several communal hang out areas. They also had toilets (halleluja!) But while the family at house one was warm and curious, the owners at house two seemed indifferent about newcomers, they must see waves of tourists come and go too often. The bathroom and shower was rustic, but it came just in time before I raised the white flag. Hammocks out back, the view and the much needed seat. In the morning we woke up to a the variety of bird sounds, some sounded like water drops, some sirens, and others, indistinguishable from its breed by the untrained ears. Then we saw a serious load of fresh riverfood (?) caught by the owner, who must wake up at the crack of dawn each day to catch lunch for the family. There were a bucket of turtles that Miguel said the owner probably sell at the market for $10 each (really good for that area in terms of profit). 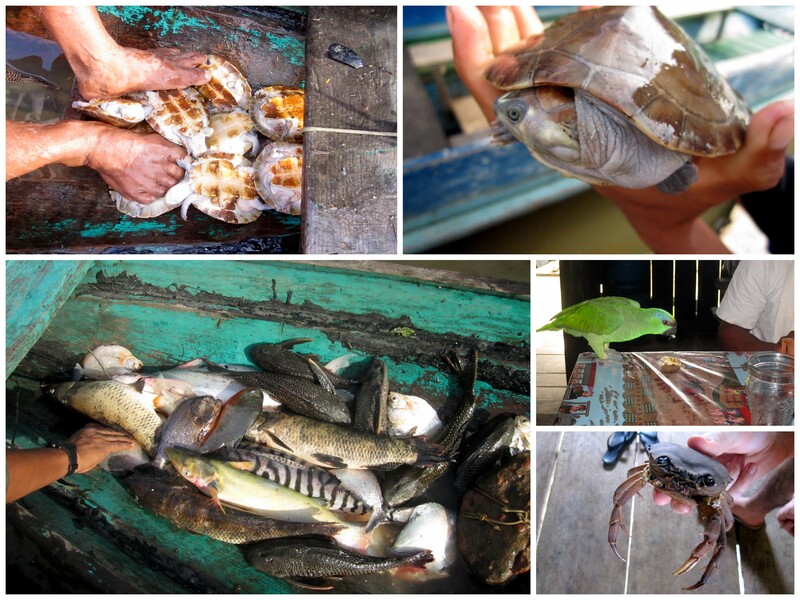 Turtles, fish, egg eating parrot and a river crab. We then suited up for morning piraña fishing. Whatever we catch was to be our lunch. Since we came back empty handed the first fishing trip, we were really hoping for a filling lunch second time around. 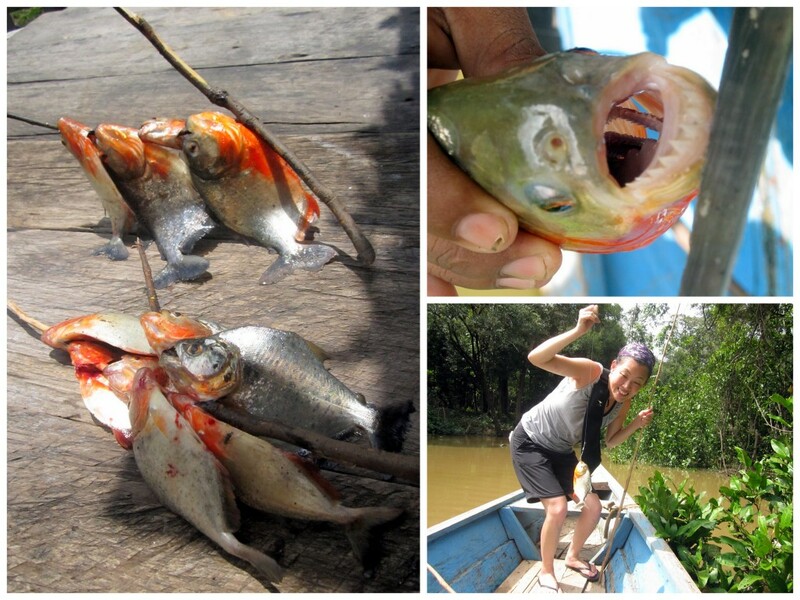 There are many breeds of piraña and we were trying to fish for the two that are the most vicious — red piraña and white/diamond piraña. These piraña mostly congregate in still waters such as smaller streams and rivers that veer off the Amazon river. They are usually not in the main river when the current is strong. The day was blazing hot. The sun beamed down mercilessly as we floated about in the little boat. The trick to catch pirañas is to hit and stir the water repeatedly, which imitates the actions of potential prey that may have fallen into the water. This was completely the opposite of how normal fishing goes but Jose already caught three in just ten minutes, I followed his instructions without question. All our hard work on a stick. See the two extra sets of teeth inside the piraña’s mouth?? And the biggest red piraña of the day! With all of us sunburned and dehydrated (even with a constant supply of water), we started to head back once we caught enough to feast on for lunch. How would pirañas taste? We all pondered. Caught by yours truly, cooked by the lady of the house who’s nine months pregnant. The verdict? Pirañas are delicioso! Meat was fine like river fish with a few bones to watch out for, but the flavor was fresh and texture was medium firm. As good as any predatory fish can get. Then I spent the afternoon reading and relaxing on the hammock, and watching the boys pack up to sleep their last night in the actual jungle (which I opted out of, not that brave). Woke up to yet another set of fresh catch by the owner. He’s a fishing machine. With the vivid colors and large heads, at first glance I swear those were ocean fish. But no, they were river BASS!! Bass! They were the most beautiful bass I’ve ever seen. Lunch and a three hour ride later, we were back to civilization. I ran into at least three hotels to ask for hot water, none were available. I gave up, who cares if I haven’t had a hot shower in a week and half and everything reeks of sour sweat. I have a bed, toilet, and even air conditioning. As much as I wanted to be a jungle woman, modern amenities still had its pull. 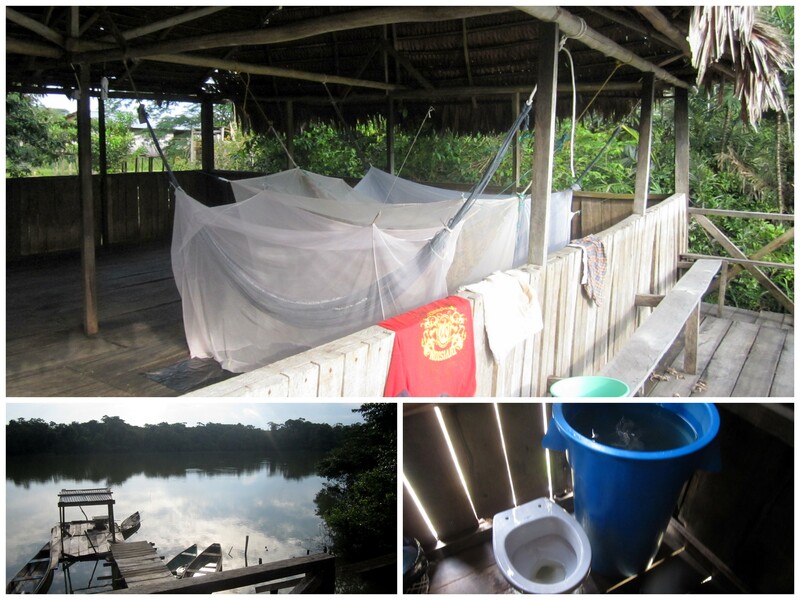 In the Amazon I had some of the best and worst times since the trip began. It will be hard to forget the moments of unexpected discoveries accompanied by the constant moisture that lingered on the skin from breezes warm or cool, the abundance of life in the river and the jungle, the scent of sour sweat, random whiffs of fishiness as the boat pulls up to the shore… The next day, we all met up again for a trip to the Monkey Island. In two days, I will take the 10 hour fast boat to Iquitos. Got a couple immigration offices to visit first. Farewell, mighty Amazon. Until next time! P.S. 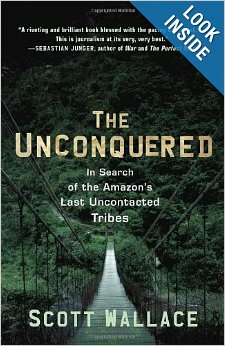 Right before going into the Amazon, I downloaded this book, The Unconquered: In Search of the Amazon’s Last Uncontacted Tribes, and by sheer luck, the story was based out of the same area I was in (Leticia and Tabatinga). I was even on the same river (albeit 300 miles off) mentioned in the expedition. It’s a great documentary and discusses in depth about the history and the delicate balance between the rainforest, the indigenous tribes, and the modern world. 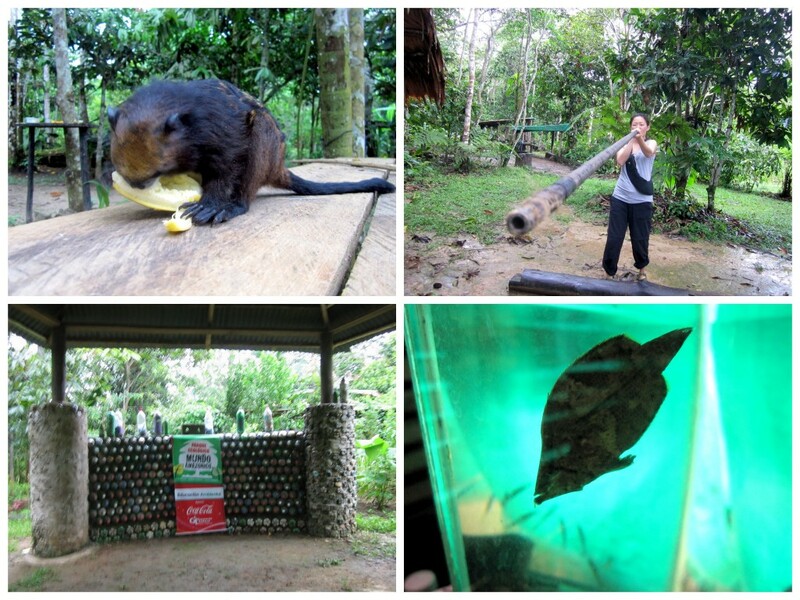 Highly recommended if you’re going to visit the Amazon! And a video of a tribe not talked about in the book but the video was made possible through Sydney Possuelo, main character in the book. Hi! Thank you for all the helpful information…I stumbled upon your blog while looking for information on how to get from Leticia to Peru – and I will actually be doing the same route as you up to Peru. Where did you stay in Leticia? And, which company did you go through for the jungle tour? I am debating whether I should stay in the city of Leticia or on the outskirts, or in Puerto Narino. Hi Jen! I stayed at Hotel Divino Niño. It’s amazing now that I searched booking.com how many new hotels/hostels there are! (all the hostels/hotels IN the forest required some sort of booking in advance, so I booked what’s available in the “city”). The tour I ended up taking is with the two-person company and the guide is affiliated with Hotel Divino Nino. It’s a Very rustic trip documented in this post, but it felt very personal. The cost was around $200-$250 usd (sorry a bit fuzzy on the numbers, def negotiable) all inclusive of transport, food, lodging, etc. 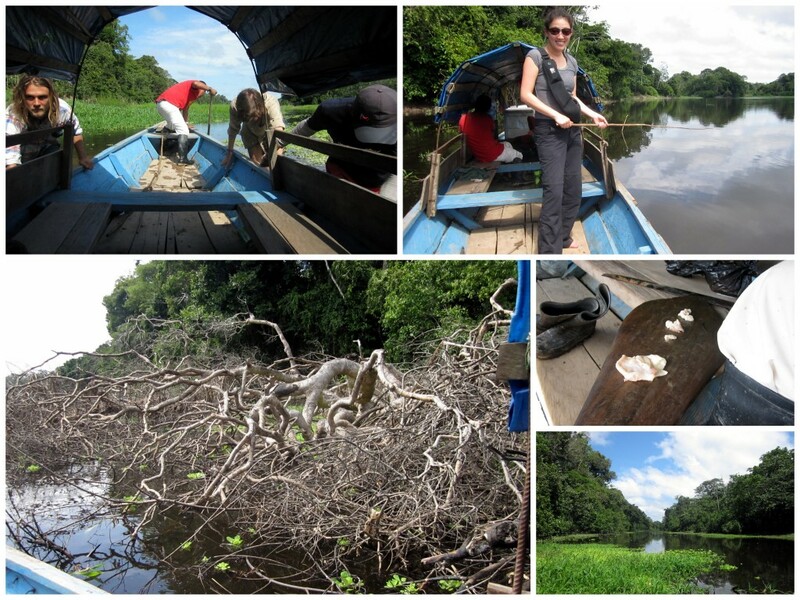 I think the difference with this trip vs the resorts would be who you meet…we stayed with families in the Amazon, went fishing with them and experienced their day to day. But again this is very rustic…if you happen to go this or similar route, I highly recommend bringing duct tape to tape the bottom of the mosquito net so the mosquitoes can’t come in through the cracks between the floor. Have an awesome and safe trip, feel free to pin me with any questions, hope the above was helpful! Just in case, this post details the crossing. Thanks for the info! I just noticed that you are also doing the Salkantay Trek as well as the Lago in Peru (which I had planned to do as well!). I am planning a month to do the Amazon to Peru trip. Would I be able to e-mail you some more questions (as I check my mail more often) ? My e-mail is jennwchang@gmail.com — thanks!